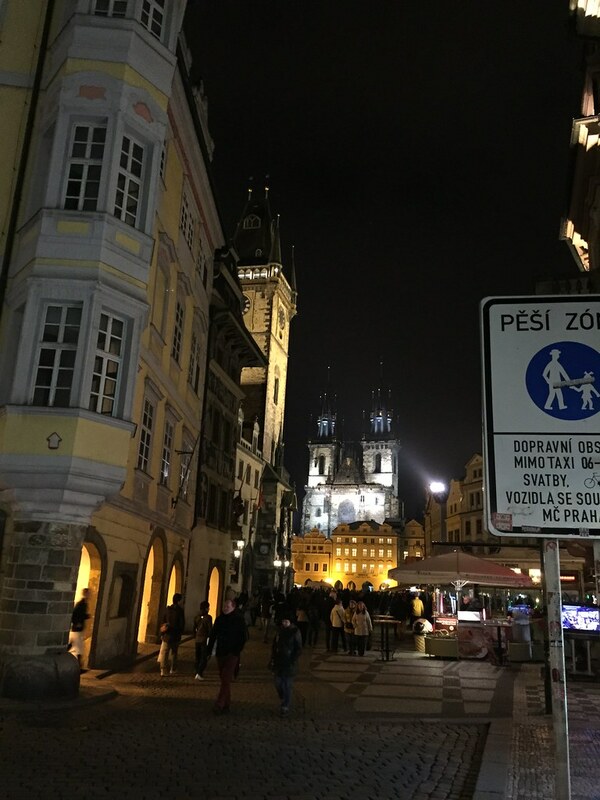 Note: This is “Part 2” of our trip to Prague. If you’re looking for Part 1, click here. Last night was a little rough. 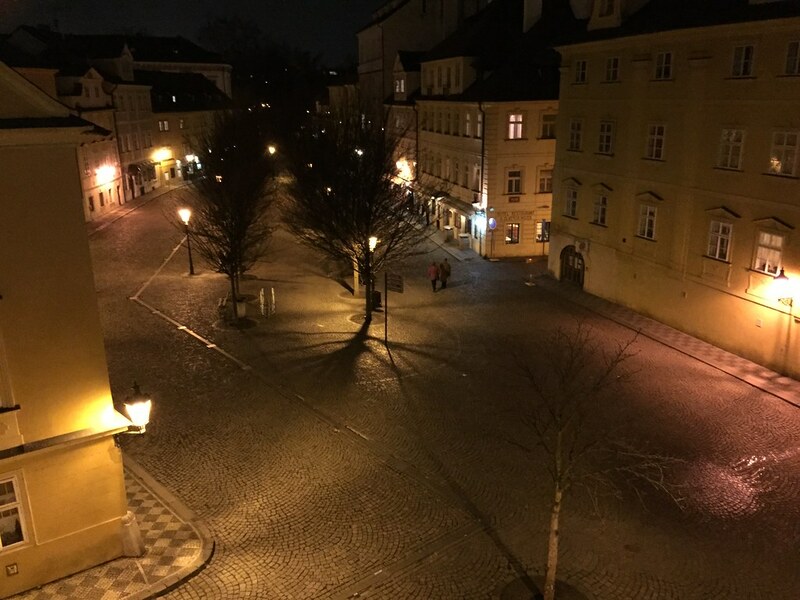 It was our first of two nights staying here in Prague and apparently this is a loud place on Friday night. The flat that we’re staying in is really close to some big tourist areas and we’re on the 5th floor, but I think there were a few party animals out and about because we could pretty much hear them all night. At one point we were awoken to the sound of maybe a dozen people singing “happy birthday” in the stairwell of this building. The kids slept right through it, but Bethany and I were wide awake. Despite the rough night of sleep we actually had a really fun day today. Our friends Zach and Kara lead us around Prague a bit, but we also spent a lot of time just talking and catching up with them. It was really nice just to hang with some friends. In fact, I’d say I enjoyed their company more than Prague. 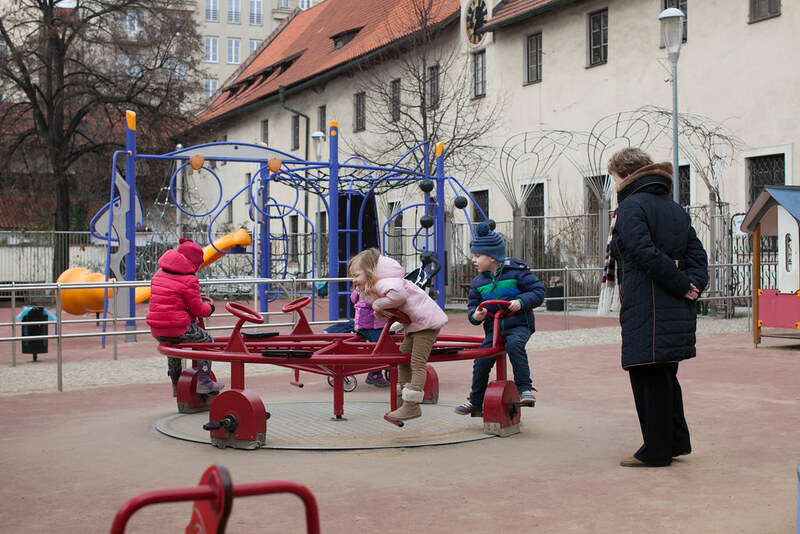 We took trams and subways around and just kind of visited a few random spots throughout Prague, but we also stopped in a coffee shop and talked for a while and spent an extended time in the park with our kids. Below are a few random photos of the kids enjoying all the fun and things we saw today (captions below each). Here you can see Avery hanging on for her life while Titus and other kids peddle around on this different kind of merry go round thing. 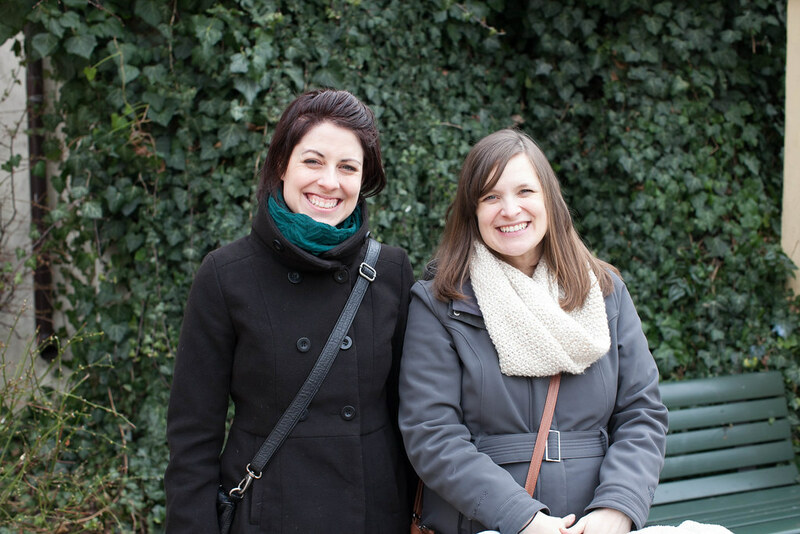 A quick photo of Kara and Bethany at the park. 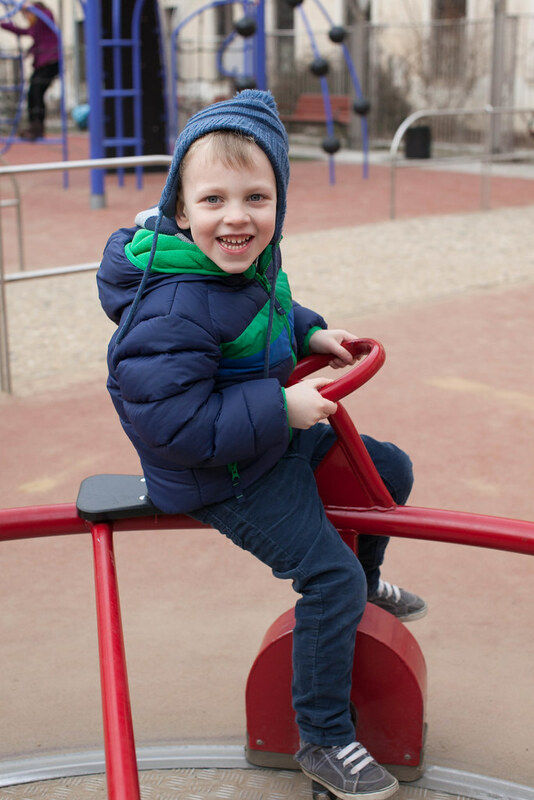 Titus has his “game face” on while we peddle around the merry go round. In a section of the city there was a man making big bubbles and the kids loved watching it. 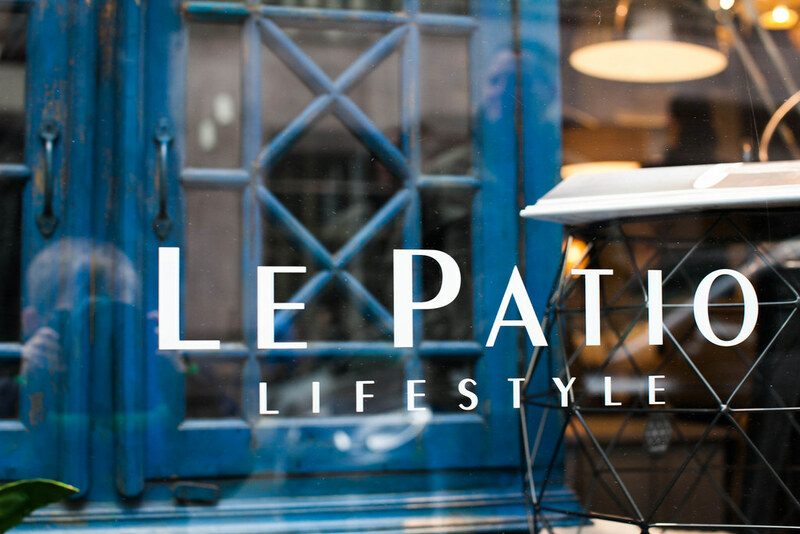 If you look to the left of “Le Patio” you can see Titus’ reflection in the glass of this store. He’s holding my huge camera because he was on a kick today of taking photos. He kept saying, “Dad, can I take some photos?” I said sure and he was really getting the hang of it. Here are two other photos he took all on his own (below). The kids needed naps in the afternoon from all the walking we were doing so we went back to our flat and just hung out in the afternoon with Zach and Kara while the kids slept. As dinner approached we went out back on the town to see if we could grab some food at a Mexican restaurant. Sadly, it ended up being completely full and they turned us away. Kara knew of another place she likes so we enjoyed some of the best pizza I’ve had in Czech. 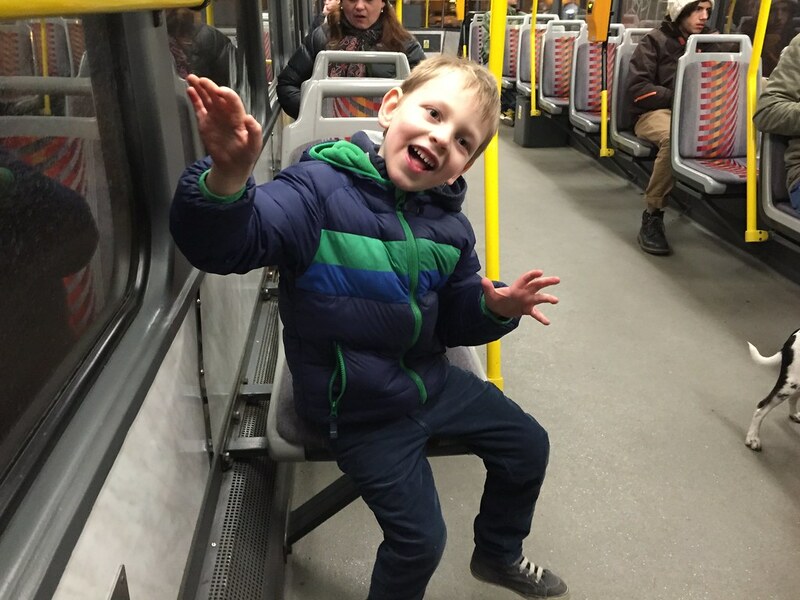 Afterwards we took a tram (or “trolley” as Titus calls it) around the city and made our way to the Charles Bridge. Here’s a few photos form that part of our evening. 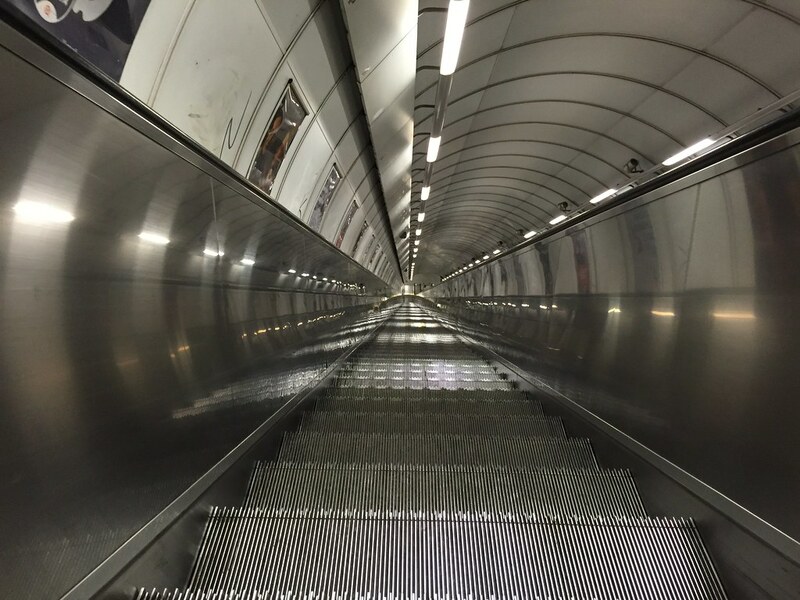 I believe this is the longest escalator in Czech. It takes 2.5 minutes to go from the bottom to the top if you just stand. It feels like you’re going straight up and I found myself getting a little dizzy when I looked up. Above is the Charles Bridge at about 8:15 tonight. It was a cold, clear night and the kids loved seeing the river beneath us. 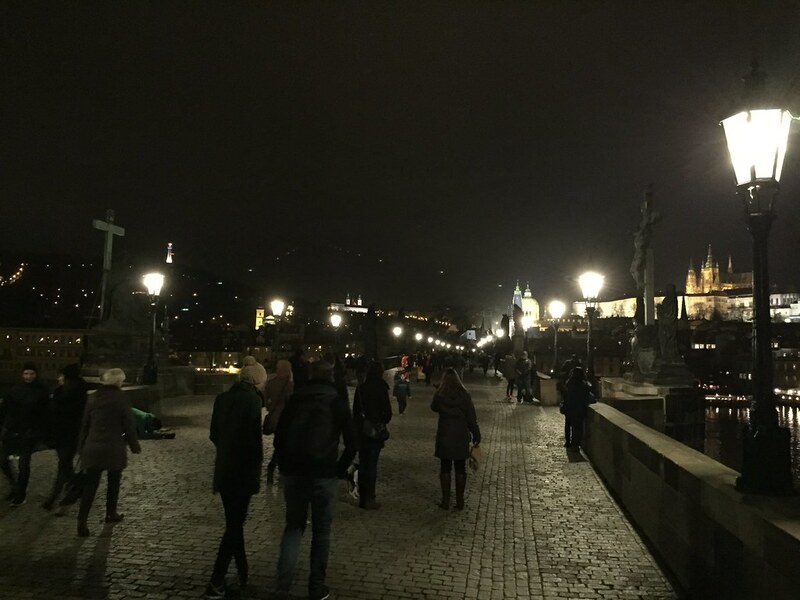 In the upper right you can see the Prague castle all lit up on the hill. On the other side of the bridge was a little town-like area (I don’t reall know what it was), but we looked down and I took this photo because well…I’m in Europe. Above are the kids on the tram, just loving life. 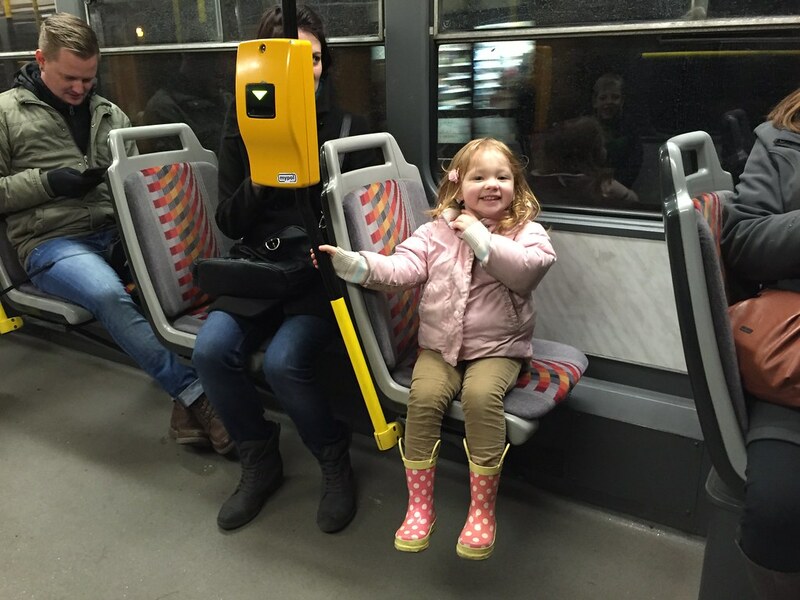 We probably could’ve just rode on the tram all day and they would’ve been happy. What a fun day just to spend time together as a family and with friends. I just texted Zach to tell him we had a blast and just really appreciate him and Kara and our friendship. Zach and his family are such a big part of my story and testimony and I’m so thankful to God that He sovereignly placed them in my life. What a joy to now serve alongside him and his wife with my own family. The Lord is too good to us. As always, it’s all grace. 6:10am is when my alarm went off this morning and it’s been a nonstop day since then. 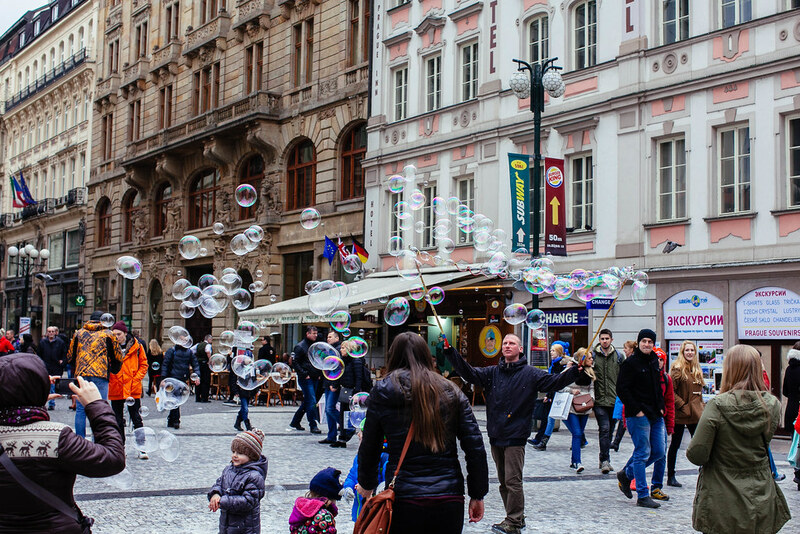 We’ve had this trip to Prague planned for a few weeks now and even though I’ve been sick for a few days now, we didn’t really want to miss the opportunity to see our friends and see a little of the capitol city of Czech Republic. I’m still feeling sick, albeit a little bit better than yesterday and I’m hoping good rest tonight will be key for me to hopefully be over the hill of this sickness. The day started with a walk to the train station and a four-hour trip across Czech. 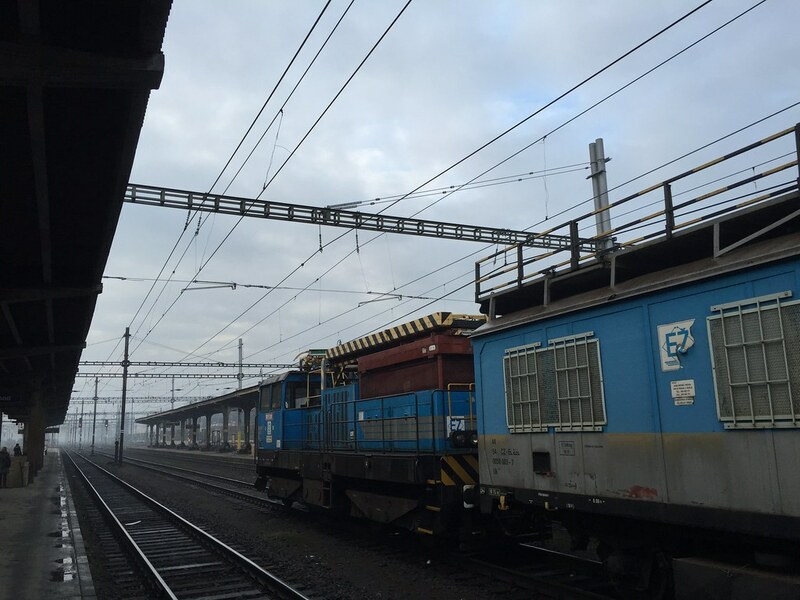 Thankfully the trains are super comfortable and pretty relaxing–it definitely beats driving! 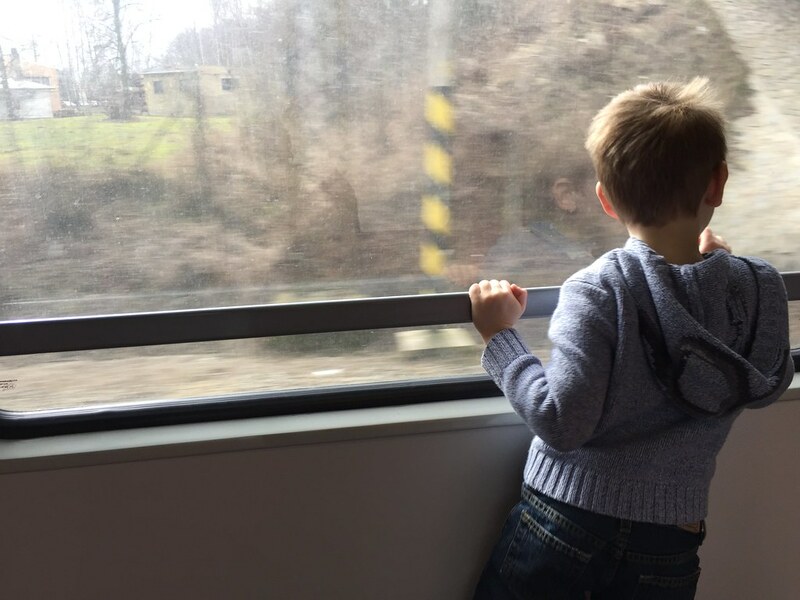 Titus and Avery do pretty well on the train, but about an hour before we arrived in Prague they both started saying things like, “I want to get off” and “I want to go home now.” That’s when you have to get creative as a parent and find other things to do on the train. “Go look out the window!” Actually, Bethany brought some fun things for the kids do like coloring and a little craft so it wasn’t so bad. In fact, I actually got a little reading in which was nice. 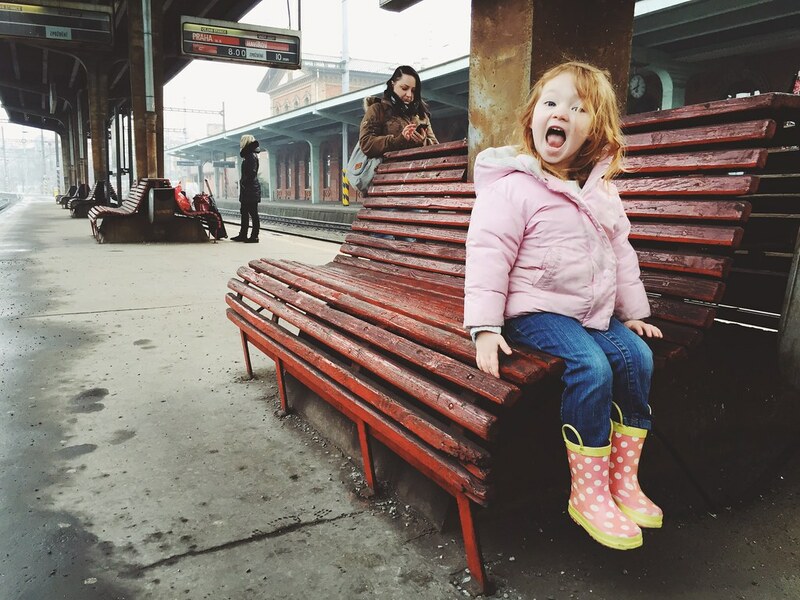 Here’s a photo of Avery waiting for the train early this morning. Here’s Titus watching the world go by. 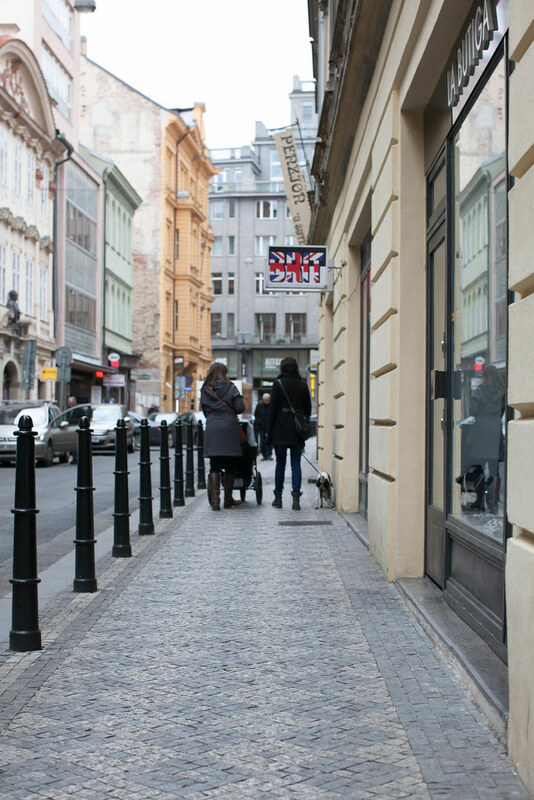 We actually have never really spent time in Prague. We had a few hours here the very first time we came to Czech in 2011, but we were so jet-lagged we don’t really remember it well. At that time Zach and Kara were the ones that met us at the airport and brought us into the city. We toured for a few hours and then had to catch a train to where the Josiah Venture offices are and we’ve never really been back to the city since then. Today, Zach again met us at the train station and helped us situated at where we’re staying. It was a ton of fun to catch up with him as he and Kara just recently moved from our side of the country to this side. They are working with a church here in Prague and helping support the ministry there. As we sat here talking today I looked out the window and was just amazed at the beauty. This picture doesn’t do justice, but the older architecture, blue skies, and sunlight coming through was just wonderful. We had a late lunch with Zach and spent most of the afternoon with him until he had to leave for their church’s youth group gathering. Kara had meetings this afternoon so she wasn’t able to join us, but we’re excited to get together again tomorrow and just do a little sight seeing and catch up with her too. Tonight we had dinner near where we’re staying and enjoyed walking through the city. Without really knowing it we stumbled in to the old town square where we had once been four years ago and I took the picture below of one of the old buildings that was all lit up. After dinner we found a grocery store and got a few things for tomorrow. Grocery stores are usually really easy to find and now that we’re familiar with how they work they are the best way to grab a meal or two and take back with you to your apartment. I was even surprised to find Dole brand bananas. I feel like it’s been a while since I’ve seen a brand I recognize like that. Even though the kids were really tired, they did great today. 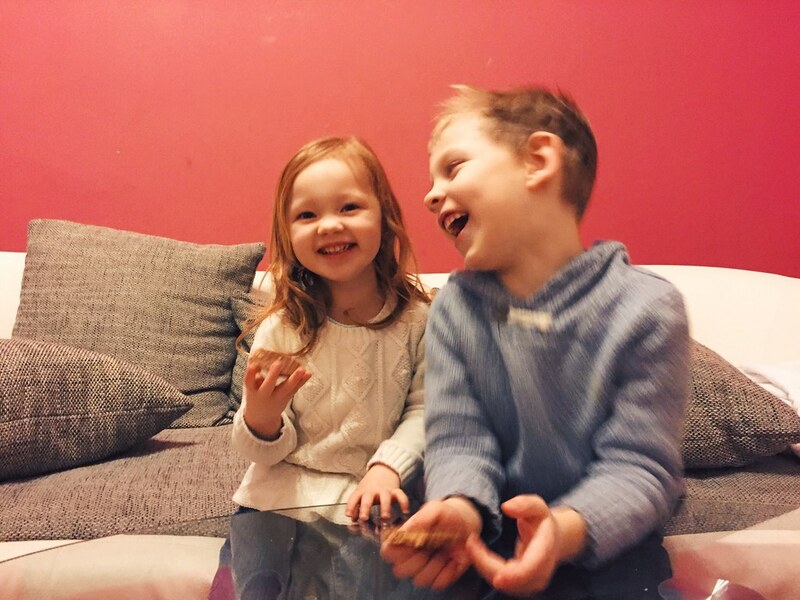 Above is a photo of them tonight enjoying a little cookie dessert before bed (I know, I know, please don’t judge us). And even though I’m still under the weather, I think the Lord really sustained me. It also helped that the weather was really nice today and great weather to walk and enjoy a little taste of Europe. We don’t take for granted these times, especially since they don’t happen very often. In the States we enjoyed taking weekends away to San Diego or the beach and now I think we’re trying to see what we can do to replace those times. Maybe it’s a big city like Prague, I don’t know. But wherever we go, I’m glad we’re together as a family and am so thankful for the time we get. I could probably summarize my day in just the title of this post: “Sleep and Vitamin C.” Essentially, that’s all I’ve done today is sleep and taking as much vitamin C as I can. I think today was worse than yesterday and my energy has just been completely sapped. Last night I tried to find some NyQuill around the house, but we don’t have any. I thought we had purchased some in the States, but I guess I was wrong. We have had friends, even other Czechs, try to find that kind medicine here and they turned up nothing really similar to it. I don’t know if there are regulations or not against it over here, but man I sure could’ve used some last night. I ended up taking some Tylenol PM just to get some sleep which was helpful, but it’s just not the same as NyQuill. We’ve gone back and forth today about whether we should chance going to Prague tomorrow or not. Unfortunately, the place we’re staying won’t allow us to change our reservation so I guess we’re planning on leaving tomorrow morning on the train. My other fear is that I’ll be stuck laying around and sick in bed. I’m hoping that rest tonight will be really good for me and that the Sudafed that I found will help me sleep. 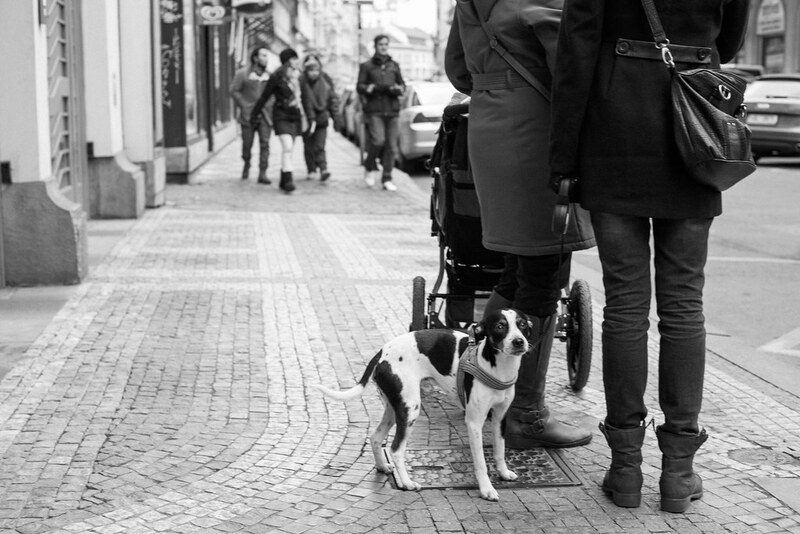 As a family, I can think of no other time in our lives that we’ve been as sick as we have been in Czech Republic. I recognize that there are ebbs and flows to sickness in family, especially with young kids, but it sure does make it difficult. The past two days we have had to cancel our Czech lessons because I’ve been sleeping and our Czech teacher cancelled tomorrow’s lesson because she is sick! I realize the common cold is temporary, momentary, and light, but when you fill up a trash can with tissues throughout the day it’s hard not to focus on anything but the moment. Despite all the sickness, I know I am supposed to keep my focus on Christ. Lord willing, I can do that better tonight and tomorrow. Sneeze. Sleep. Sneeze. Cough. Etc. I had a feeling this was going to happen again. A lot of people around here have been getting sick lately and now Titus and I down for the count. Avery had it a few weeks ago and Bethany is showing early signs, but it looks like the current cold strain has hit the family. I’m just not a huge fan of sore throats. I feel like I can deal with just about any other symptom, but the sore throat is the worst. I’ve tried sleeping a lot today and am hoping to get to bed early tonight (shortly after finishing this blog). The timing a huge bummer as we’ve already made arrangements to have a mini-vacation in Prague this weekend and to see our friends Zach and Kara. I’m holding out hope that I can feel better in the next 24 hours. We have an 8:00am train leaving on Friday and will come back on Sunday afternoon. 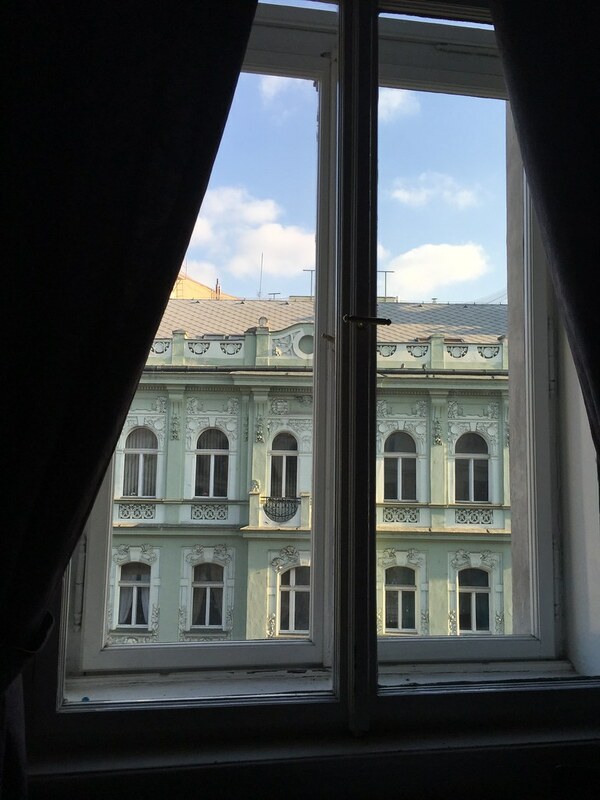 Although we did a small tour of Prague our very first time we came to Czech, we were severely jet-lagged and I don’t really think we got the full experience. Our trip this weekend is kind of our first time really experiencing the capitol city of the country we now call our “home.” Please pray we’re able to feel better and enjoy some time away as a family. It rained most of the day today and it was one of those rare days where I never stepped foot outside. The kids have wanted me to “rascal” (wrestle) them, but I just haven’t felt well enough or even have enough energy to do so. These are not my favorite days, but I’m trying to have a good attitude. Sickness is never fun, but I guess it’s just another opportunity to look to the Lord for strength. Throughout the day today I was getting little photos of our kids messaged to me from Bethany. 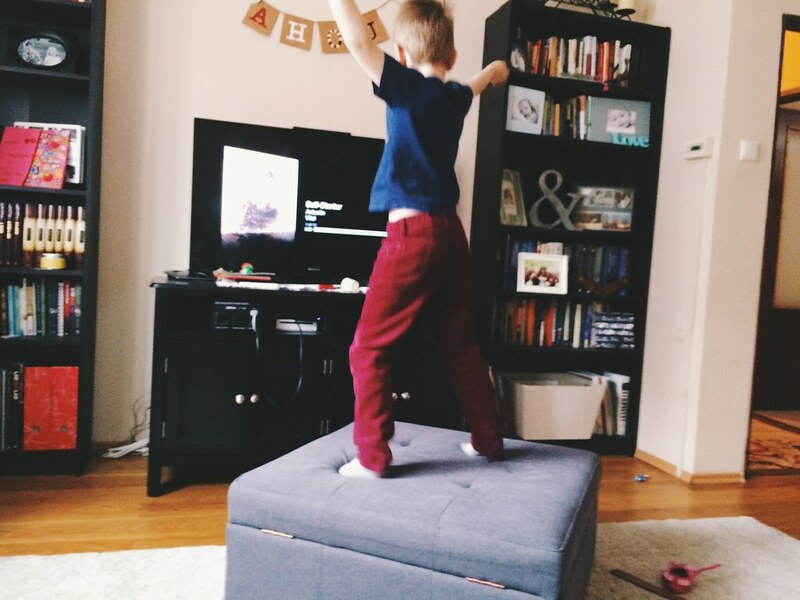 Above is a photo of Titus dancing on our ottoman to a song that he can’t seem to get enough of lately. We love music in our house and we often have “dance parties” when we just want to get some energy out. Titus especially loves music and always ask for “rock songs.” I guess he’s enjoying his week off from school because of the “Spring holiday.” It’s always fun to have a holiday at home. 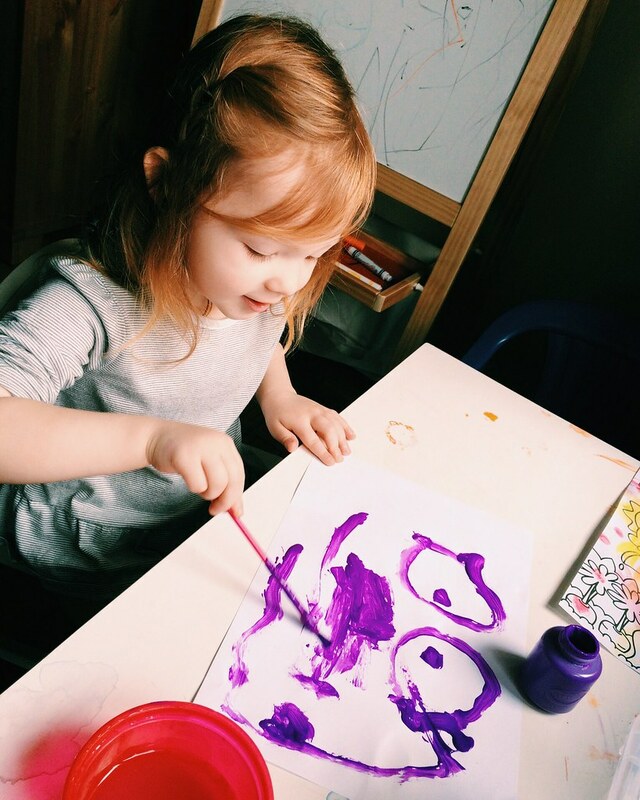 Below is another photo Bethany sent me of Avery painting. Apparently she was painting a picture of me and said, “Daddy has glasses.” I think I look great. Here’s another one of Avery folding here little wash clothes and baby clothes just like mommy does. 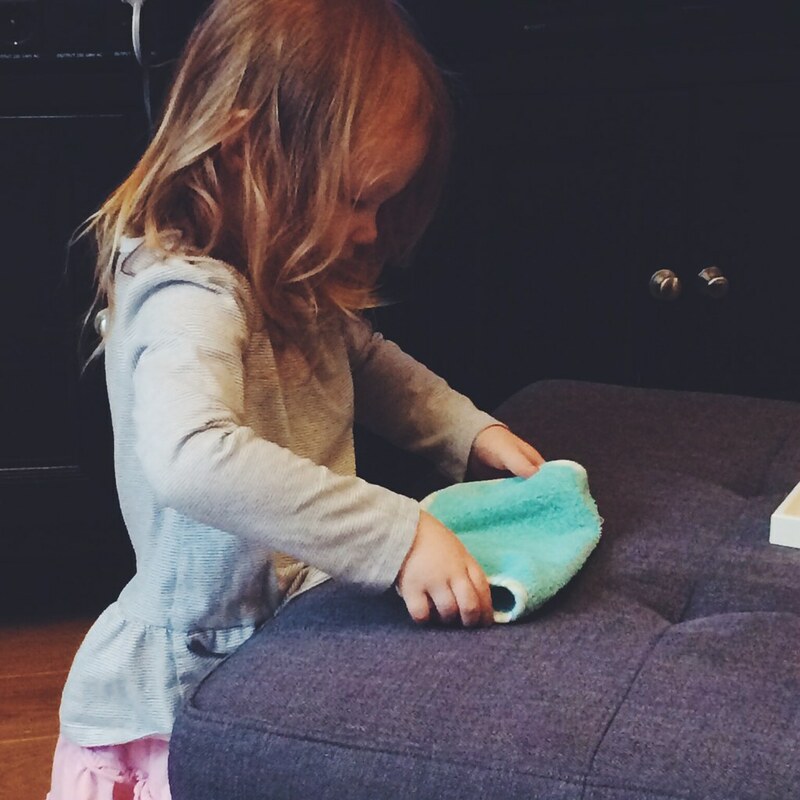 It’s really fun to see Avery copy Bethany and want to help around the house. The other day I found all of Avery’s babies lined up perfectly, each one with their own tiny blankets. It rained a little today and the weather has been warmer, but definitely not warm. Bethany commented that we needed a little rain. It feels like with all the snow melt and and dirt that the roads and sidewalks just needed a rinse. Other than that, it’s just been a normal day. We didn’t do language lessons today, but we’ll pick things up tomorrow. We’re also working on a plan to take a mini vacation to Prague this weekend to see our friends Zach and Kara. We’re hoping to take the train and rent a little apartment because it’s the most affordable and comfortable way to go. We’ll see how it goes!